Yesterday we had an Indian function for my cousin who just announced his engagement. 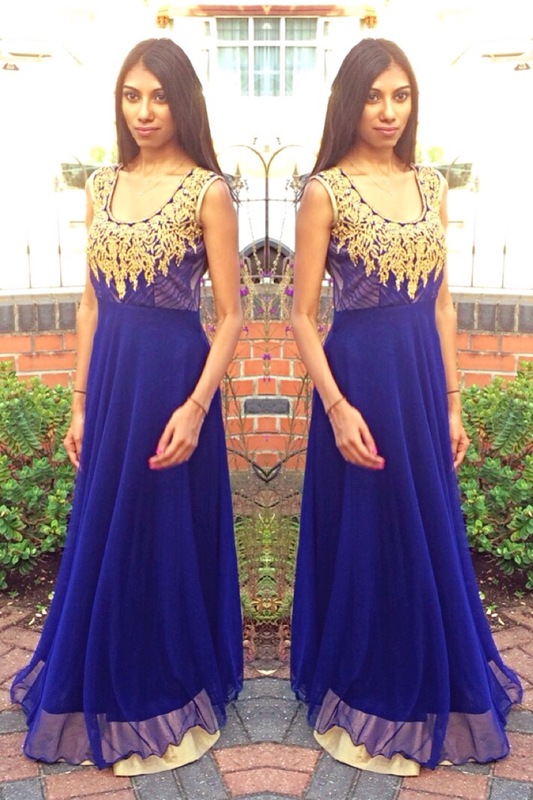 So I decided to go for this beautiful royal blue outfit which is from Venisons in Wembley, London. 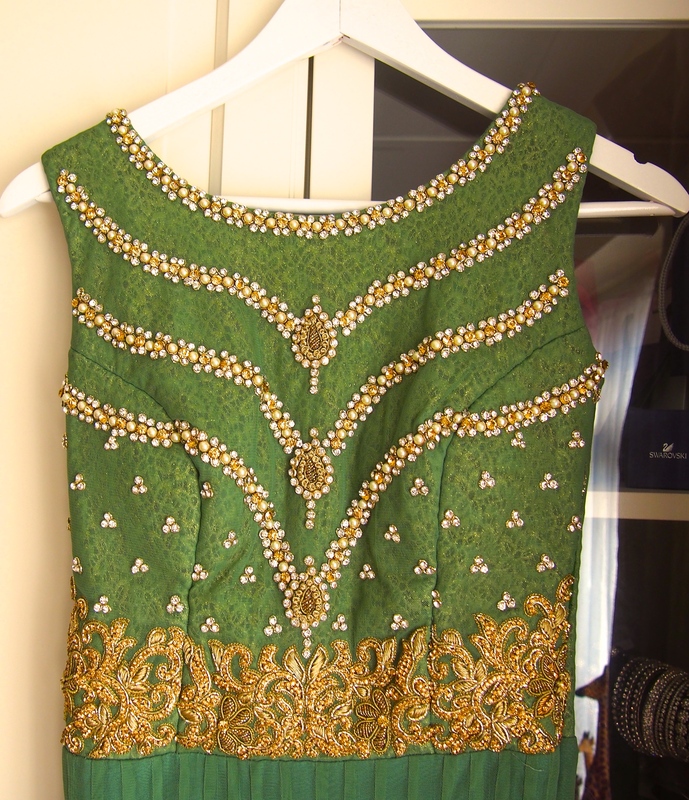 It’s simple but elegant and quite ‘dress like’ so you don’t really need to wear it with the traditional “chundri” like most other anarkali outfits. 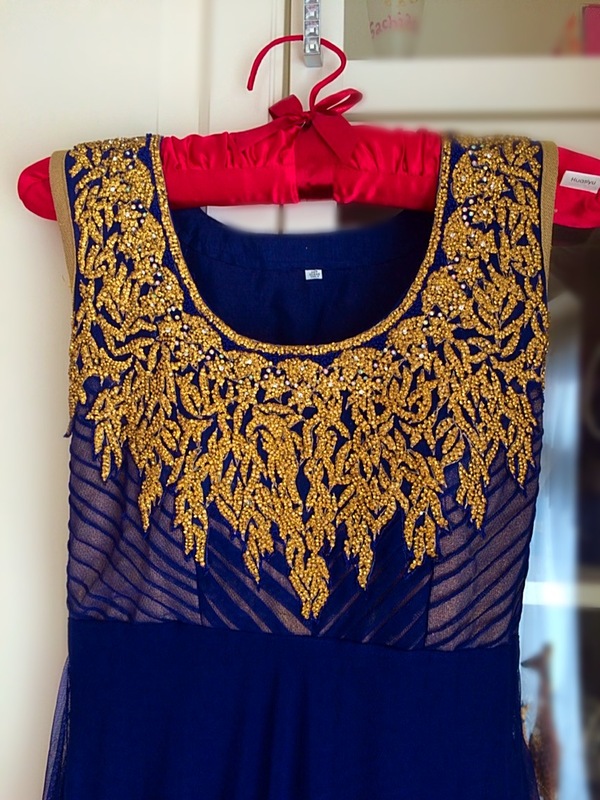 It has some gorgeous gold embellishments at the top and a netted layer on the bottom. 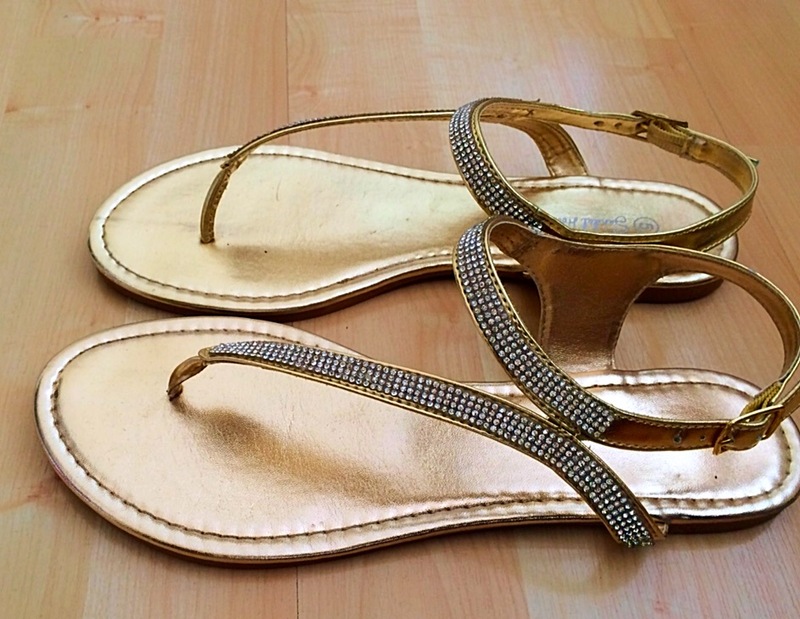 This really gives that extra sparkle to the outfit – a must for every indian outfit imo haha! 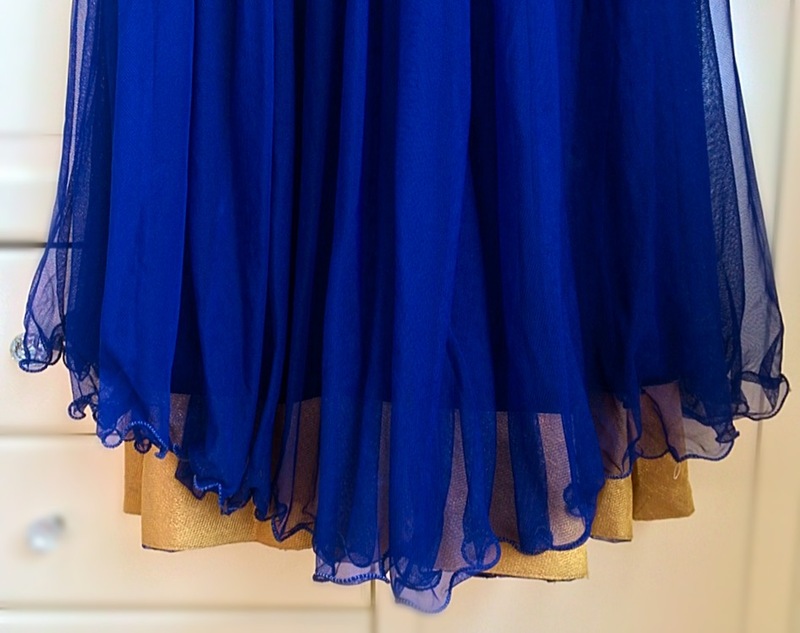 The bottom is also a very unique style with an asymmetrical netted layer and some gold material from the layer behind, peeping through from underneath. This outfit is also great for an evening look and can be paired with a nice pair of gold sparkly heels to finish it off. 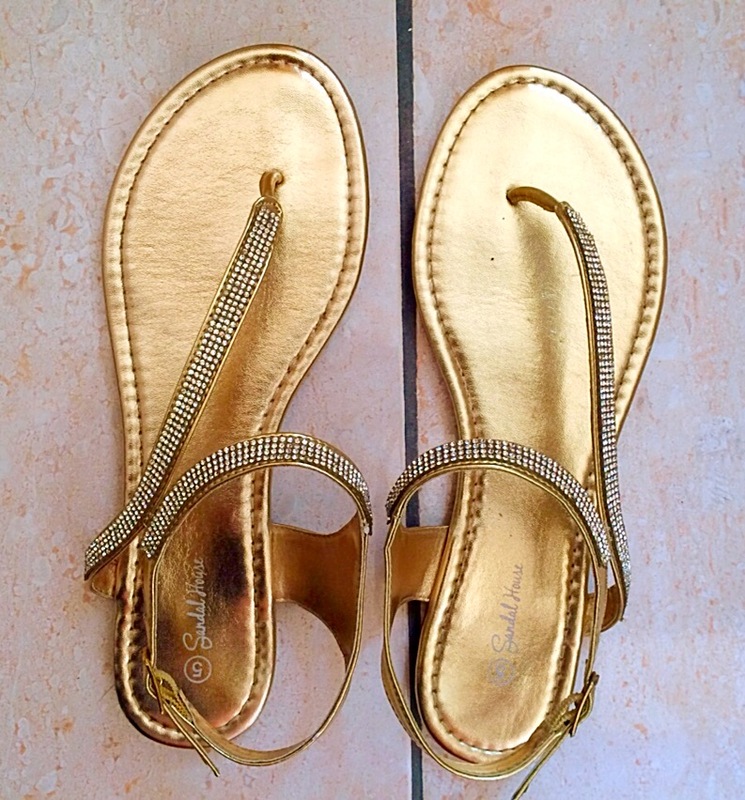 I opted for a sensible pair of gold, flat sandals (of course with some silver diamantes :P) this time as I knew there’d quite a bit of running around to do – and i’m so glad I chose flats haha!